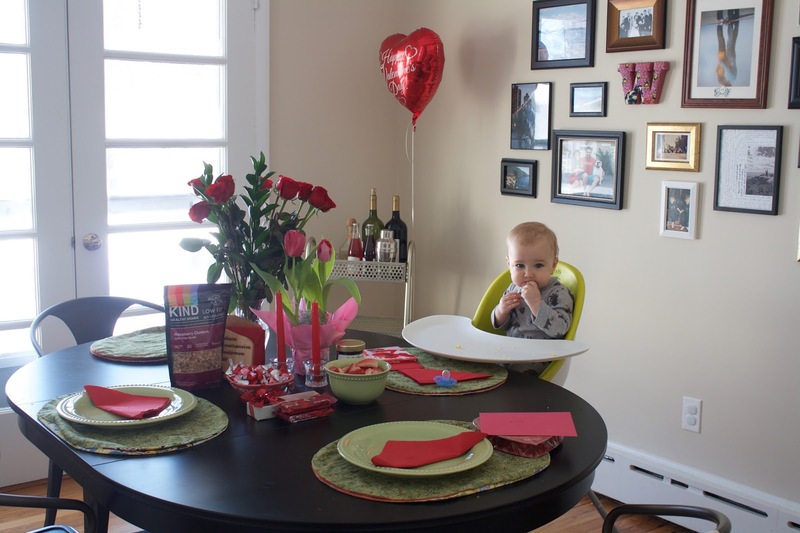 Following the Walkers: First annual Valentine's Day brunch. Growing up, my mother always had a really nice way of making holidays special. Tradition surrounded everything, and our celebrations were grounding for all of us. In many ways, they were opportunities to stop, reflect and take note of how much we had to be thankful for. It's a habit that I want to create for Hugo, also. 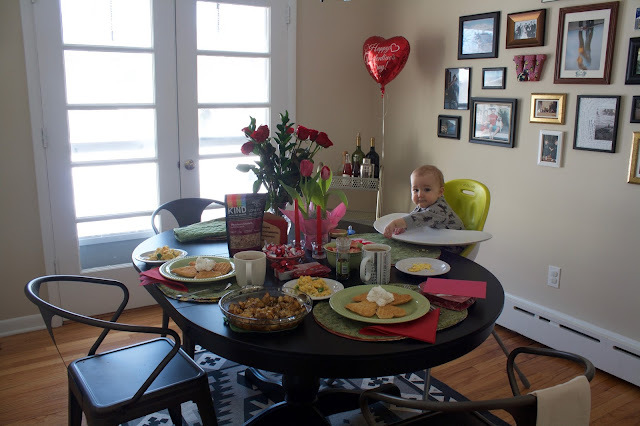 And so we gathered around the table for our first annual Valentine's Day brunch - just our family of three (and Gus). 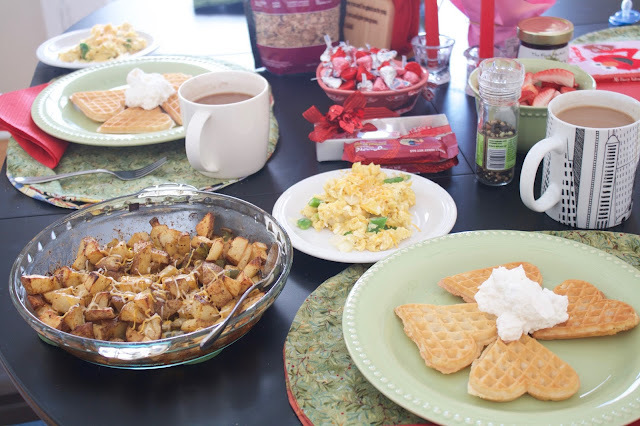 There were heart-shaped waffles, a bowl brimming with fresh strawberries, a dozen roses and three cards scribbled with messages of love. The best start to a tradition in our little yellow house by the river.